Leading diagonals “lead” a 5-wave pattern (or the first part of a zigzag) — hence they appear in the wave 1 position. Ending diagonals “end’ a 5-wave pattern — hence, they appear in the wave 5 position (or tail-end of a C-wave). In contracting diagonals, wave 3 is shorter than wave 1, wave 5 is shorter than wave 3, and wave 4 is shorter than wave 2. The price action is range-bound by two converging trendlines. In the expanding variety, wave 3 is longer than wave 1, wave 5 is longer than wave 3, and wave 4 is longer than wave 2. Expanding diagonals are less common, but definitely do exist. The price action is confined to two converging or expanding trendlines — depending on whether we are dealing with an expanding or contracting diagonal. In an ending diagonal, subwaves 1, 2, 3, 4, and 5 always take corrective wave form — either a single or multiple zigzags. In a leading diagonal, waves 1, 3, and 5 are all impulsive or all corrective waves in the form of zigzags. Waves 2 and 4 are always zigzag patterns. The 5th wave can fall short of the converging trend line connecting waves 1 and 3 — or it could touch the line — or it could go well beyond it in what is called a “throwever.” When a throwever happens, there can be a sharp and swift reversal back to where the diagonal began and can take 1/3-1/2 the time it took for the diagonal to form.When it reverses — for leading diagonals — the reversal is simply wave 2 — which then follows with a wave 3 that continues in the same direction as that leading diagonal.For ending diagonals, the reversal can be the beginning of a new pattern in the opposite direction — usually beginning with an A-B setup — but there is no guarantee for a pullback . Pretty much anything because of all the up and down. Don’t confuse a Diagonal with a failed 1-2-i-ii breakout. Perhaps it can be most confused with the 1-2-i-ii setup — with people confusing the extended long 3rd wave with a relatively long 5th wave of the diagonal, which then swiftly reverses. This can be frustrating and so it’s important to look at the internals of the supposed 1-2-i-ii setup — and make sure the wave 1’s are impulsive 5 waves. Because if they can be broken down into a-b-c corrective waves — then it is likely more a diagonal. The Big Drop in August 2015 after touching S&P Top above 2100 was preceded by an expanding leading diagonal as wave1 — followed by a wave 2 that retraced 90% of that diagonal — then big wave 3 drop. Notice wave 1 is the biggest. Within waves 1, 2, and 3– there are 5 clear squiggles. Wave 4 is less clear. At any point within that 5th wave going up– we can sell a call spread a few strikes higher– like 9300 (since the market is trading at 9100-9200)– and see can sell weekly options here. If this is indeed an ending diagonal, then the upside is limited– and pattern will reverse back to wear it began. Buy puts only when it is clear with the ending diagonal has completed with clear 5 waves. Sometimes the ending diagonal can go a bit beyond where it’s supposed to go and sometimes it can fall short. 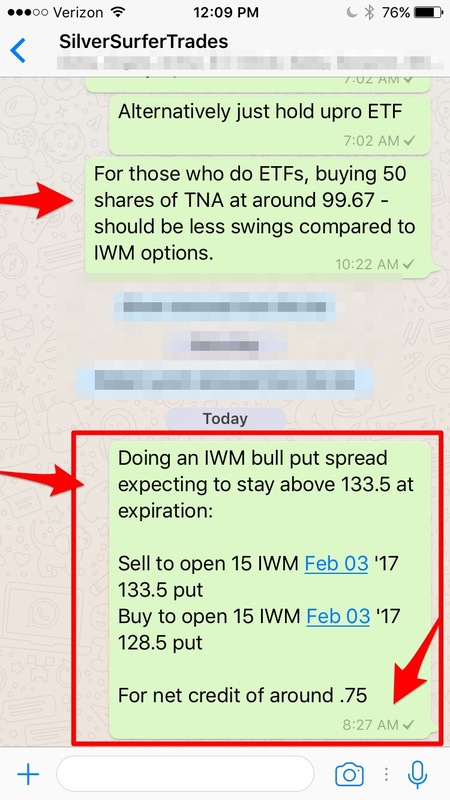 That’s why it’s best to use options and create a short call spread several strikes above where it’s trading. Only once he downside is clear should you add to your position or potentially buy a put. A super quick C-wave up of the b-wave portion of an A-B-C shortened 5th wave was followed by a super quick drop — beginning wave 1 of the 5-wave ending diagonal. Reference our blog entry for December 14, 2015. Intraday look at the ending diagonal on December 14, 2015 in S&P500 Futures. Zooming out for context of where this ending diagonal occurred — in the wave 5 position of the C-wave of an A-B-C. The big drop from 2075 to 1912 — a more than 150 point drop in the ES futures in less than 10 days — began with a leading diagonal. The leading diagonal is marked between the pink lines on December 30-31, 2016. The above pattern dipped below 1900 to 1893 that Sunday night — so it was more than a 180 point drop from 2075 to 1893. It began with a leading diagonal pattern. 5) April 21-May 6, 2016 – C-wave Ending Diagonal in S&P500 Wave 4 Correction? Yes, ending diagonals can not only happen in the 5th wave position, but can also happen in the C-wave position of an A-B-C 4th wave correction. Before the diagonal began, we had multiple days of A-B before C began down from 2092. The first part of that C-wave ending diagonal was the wave i — which is the biggest vertical drop. It’s not uncommon for the 5th wave bottom to coincide with an important news event — in this case the 8:30am Friday morning report – which caused the 5th wave down, which reversed shortly after the open at 9:30am. A lot of people were expecting a 1-2-i-ii- with a iii into the jobs report — but it reversed the other way. As noted above, the ending diagonal can potentially be confused with the 1-2-i-ii setup. Yes, ending diagonals can happen as the 5th wave extension of an A-B-1-2-3-4-5 pattern down — which likely encapsulates the entire wave II drop. In hindsight, the above chart makes sense, but in the process of labeling, we might see something more like the below. If we see a lot of high 4th waves, that could be an indication that we are in a leading/ending diagonal. In this case, since we are in the 5th wave position, we are in an ending diagonal. From a zoomed out daily chart, the Nasdaq appears to be completing a wave 2 drop after a large wave 1 rally. What follows next may potentially be a wave 3 up. Buying the bottom of an ending diagonal is ideal. In practice, easier said than done. Option Strategies you can use include put spreads — this way, regardless of whether the market goes up a lot or a little or fluctuates a lot and gets close to retesting the low — you can still reach your max profit and not have to worry about exiting at the right time. With a put spread, the ideal exit would be a 1 or 2 week expiration date. You can also buy and put a stop below the bottom of the ending diagonal. Don’t try to get cute and put a stop a little bit higher — this is where greed kills you. In the Nasdaq example above, if you put a stop just above it – you would have been stopped out and missed the trade unless you re-entered and took on additional risk. Notice the 1981ES level gets tested 3 times — once at wave iii, then wave v — then again at the bottom of the b-wave — which happened after the market close. And also notice that the wave i down at 2pm was the largest drop — in a zig zag formation. The remaining waves ii, iii, iv, and v – were smaller compared to this one. The best time to buy would’ve been 6pm — after everyone has finished closing and the futures markets have been closed from 5pm-6pm. So the Ending Diagonal pattern followed by an A-B where B touches the lows once more — is an indication of the optimal buying spot. Of course, if you’re late – you can also spot the A-B Mountain patterns above — and buy near the base of that pattern in the 2006-2008 region as an alternative (late) buy entry. The last 4-5 within the 4-5 is an ending diagonal where the 1320-1322 region is tested multiple times until it finally bottoms at 9:40am after the market open — before reversing. An ending diagonal in the 5th wave position of a 5th wave (see above hourly chart) — usually gives good probability of being a decent buying opportunity – especially with stops at the low 1320. For context, here’s the daily chart – frustrating consolidation. The failure of the B- wave spike at around 1385 – turned into a giant A-B-C wave 1 – then wave 2 – and then smaller (1-2-3-4-5) wave 3, then double top wave 4 – then small wave 5 – followed by reversal. Holding overnight between Jan 23 – and Jan 24 is the first hint that this market is reversing. The second hint is just piercing over 1355 followed by a pullback to 1350 — and then a move upwards – that’s the ideal buying region when we alerted a buy.